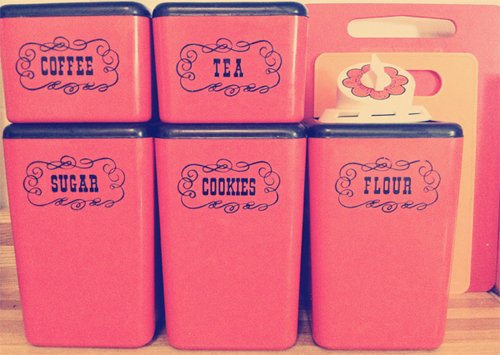 Oh So Lovely Vintage: Tips for decorating your retro-modern home. Tips for decorating your retro-modern home. Hello lovelies! Today we are going to share a few of our essential decorating tips to help you create your dream retro space! Our homes have been works in progress for years now because we are always adding new things to our vintage home decor collections! Our goal when decorating our homes is to make it feel as though you have traveled backwards in time to a different era. If you are interested in creating a similar effect in your home, here are some fun tips to help you achieve that! All of these photos were taken with the iPhone app Instagram, which we are pretty addicted to. Feel free to follow us if you aren't already! Our user names are: ohsolovelystef & ohsolovelyerin. First things first, decide on what theme or era you would like your home to be. Some fun ideas for different decades are the kitchy 50's, the mod look of the 60's, or the bohemiam look of the 70's. Once you have decided on what sort of feel you want your home to have try to stay as consistant as possible throughout your entire home. By doing this it allows you to freely move and interchange furniture and knick knacks without keeping them limited to one room. It's sometimes fun to move things around and switch them up a bit to give a room a fresh look! As far as themes for our homes go, we are both suckers for the 60's. A great way to set the tone of a room is by creating a focal point which your eye is automatically drawn to. In my house I used this fantastic turquoise couch to give my living room a very strong mid-century look, and Erin used this adorable hand-made vintage flashcard collage as the focal point to her bedroom! ﻿So many people are under the misconception that colored walls are bad because they make the room look smaller so they only stick to neutral tones. And yes, this may be the case in some rooms, however don't let this stop you from having fun with your walls! We are both firm believers in bold walls to brighten up our homes! If you are still hesitant to commit to making such a big change, a good way to ease into using color is to have one accent wall and leave the rest a soft white or cream tone. The color is less overwhelming this way but still gives an effective punch! This also allows you to have fun with furniture and buy pieces with multi-colored prints to brighten up your room too! We all have those favorite little trinkets that we have accumulated over the years that just sit in a box or on top of our bedroom dressers. A fun way to display these is simply by hanging some shelves. 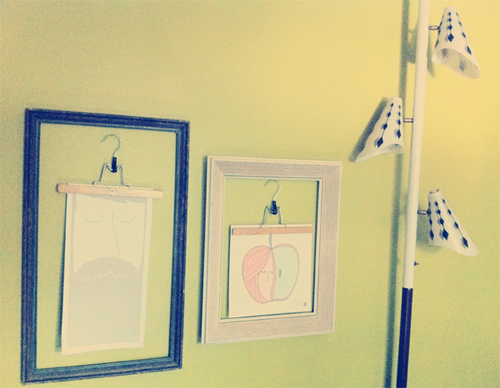 Try to hang them in more unexpected places, like in your kitchen or in your bathroom. It's always fun to see cute little displays pop up when you least expect them! 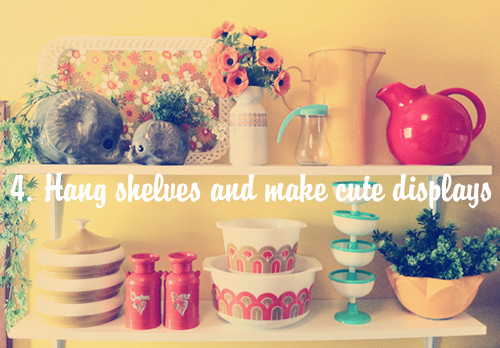 A good way to fill up your shelf is by using cute filler items. We like to use vintage floral trays & little vases of plastic flowers. Keep in mind that just because the shelf is in the kitchen, doesn't mean that it is only meant for kitchenware. Mix in some cute planters and figurines too! Trying to furnish your entire home strictly from a specific era can become quite tricky, so what we like to do is mix the old with new. 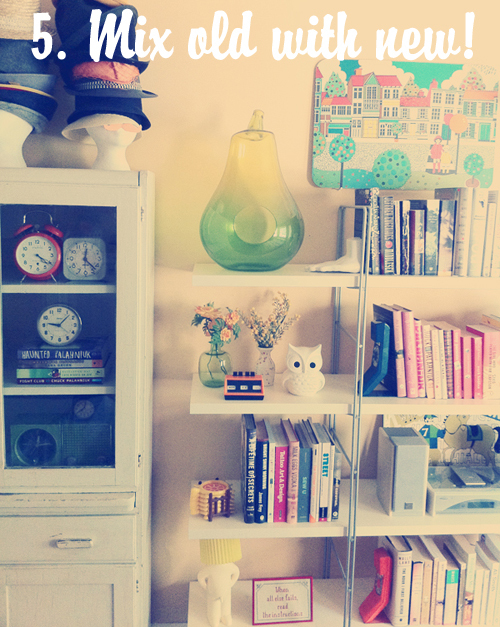 In these photos we both used new shelving units to hold our favorite vintage treasures! I also surrounded my shelving unit with other vintage pieces, such as my danish teak dining room table and hanging chair, and Erin put her adorable vintage hutch full of clocks beside her shelf. 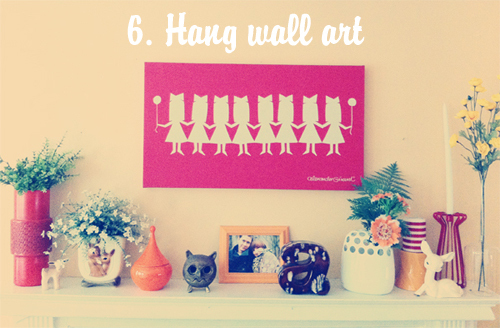 After you give your walls a fresh coat of paint, hang some fun wall art! Figure out what style of art you like and try to put splashes of it in every room. We're not saying to just limit yourself to one type of art, but try to pick pieces with a consistant feel (ex: wood, metal, prints, etc...) Erin's walls are full of cute prints and mine are full of 60's wood & metal art. Don't just rely on overhead lighting, fill your room with different types of lamps! A good thing to remember is that using low wattage light bulbs is not only energy efficient, but it also gives off a nice dim light which creates a relaxing mood in the room! We hope this inspires you to give your space a little face-lift just in time for fall! Happy decorating! These are such great tips! Your houses are so beautifully decorated! Ahh, I will definitely be buying some more prints for my walls and add a bit of color to the whole place! I am just so inspired by your pictures! Your homes are decorated so perfectly! Thanks for sharing these lovely tips with us! xxoo, Allie. P.S.) What is that dome shaped thing with the flowers inside it, next to the red telephone? I want! Those are my dream houses! they look so good! nice job! All of your decorating is so very swoon-worthy. I'm currently in the process of re-doing my room, so this is just what I needed! i went charity shopping ysterday and had to stop myself buying all the retro stuff i saw...i'd already spent 45.00 on china...eeeeek! You have both achieved very true 60's style, but each of your homes is very unique from the other. Really lovely job, you two! This post is amazing! I just discovered you through Stef's instagram (I'm @allisoncamille) and this blog is so adorable I could die. You ladies completely share my aesthetic and this post serves as great inspiration. I'm currently in the (slow) process of decorating my apartment and though I've made a lot of progress I definitely hit a wall recently. These pictures are giving me visions of color and patterns and prints that I can't wait to incorporate! Thanks! 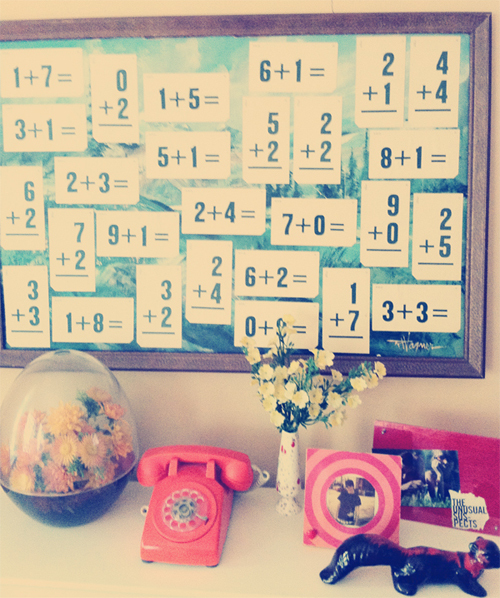 I'm always in the process of decorating our home and this was a very inspirational post! Thanks! Love the tips. I'm actually currently in the process of making up my room and these tips are great! I'm moving into a new apartment soon and would love to create a 60s/vintage theme throughout. Thanks for the awesome tips! What a great bunch of tips! Thank-you for sharing them with us all! A very simple and easy steps to follow. All are great! Thanks for sharing. Everything is wonderful and beautiful. Thanks! You gave me some serious ideas here. Beautiful! Indeed, it is really important to give attention to the living room (and other areas of the house, of course). The living room is like the center piece of the house and so it has to look its best. The designs in your post are very inspirational and are easy to create. Thank you. Thanks for sharing these wonderful home decorating tips which helpful for home owners to decorate their own home. I think, any home owner can create amazing and beautiful home decoration from following these home decorating tips. Teapot and cookies bars just drive me crazy. My imagination has already put them in my kitchen. Love desigh. Here is my blog, by the way. Thanks for sharing will be a follower of your blog. Anything is possible with you. Stunning! You are full of creativity and not afraid of mixing colors and prints!Really wonderful! WOW, that's some pretty awesome decor. I am not sure I would nail it myself and go for the odd one or two items but you have that down to a trick. Personal fave, those retro phones. Love em. I agree with mixing old with new. Some folks think if you decorate retro, everything needs to be retro. But, I like to throw new items in, especially everyday use items like beds and sofas. I have my retro couches and chairs in some rooms, but in the heavy traffic areas I have the new stuff that still mixes well with my retro decor. I disagree on picking an era as a theme. Real vintage homes would have had stuff that the family picked up through the years. Few people would furnish their entire home all at once. Therefore, an actual home from that time period would have had a mix of eras in it. I prefer to ignore specific themes or eras, and just find stuff that I LIKE. If you pick out things that YOU like, as opposed to what a magazine tells you to like, then it will just naturally fall into a theme: a theme of YOU. My collection of green-stripe restaurant ware dishes does not match my primary colors Pyrex bowl set which in turn does not match all the turquoise stuff that I have. But because it's all ME, it works. I'm never thinking, "Argh, this mod sunburst clock doesn't match my jadite salt and pepper shakers! ".....I just think, "I love this, therefore it is mine!" This has been a very significant blog indeed. I’ve acquired a lot of helpful information from your article. Thank you for sharing such relevant topic with us. I really love all the great stuff you provide. Thanks again and keep it coming.Even if you are not ready re-decorate but still would like to discuss future projects with us please dont hesitate to contact us, it would help you to get a estimate of price and time required for the project, helping you get prepared early for when the work will commence. I am in love with these pictures! I recently got a new shaggy rug to go with the vintage feel of my living room, but I definitely want to employ some of these tips to take my decorating to the next level. Love this.......so many beautiful items! Inspiring and wonderful to look at. I'm slowly building up my collection of retro/fabulous items around the house......but it takes me so much longer as there aren't many 'vintage' opportunities in Ipswich! I find some charity shop bargains though - occasionally! I love reading your blog posts :) Keep them coming! Great ideas! I like to decorate with a variety of vintage styles too. Great ideas!I love vintage anything. Mid century modern era and decor is what I'm working on. So beautiful and inspiring ideas. I love home decoration therefore i spend my free time in collecting the images of modern home decoration. Thanks for sharing these picture here. I am waiting for your next post to collect more pictures. Hi! I looove the wall color in your dining room. It is my sister's favorite color and I've been looking for it everywhere! Could you please tell me the name/brand of the paint color that you used? Thanks! I love this article, thank you for great tips. I like the "art" made from paper cut girls with balloons, I might do something similar, it looks like fun! 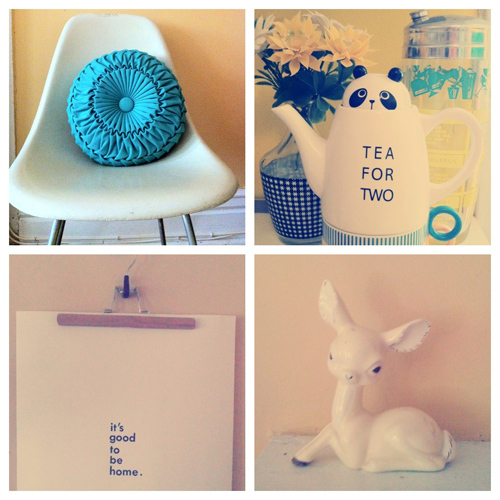 I think 'Retro Modern' is the phrase that pretty much sums up my whole house! The house is modern, but i have retro furniture and accessories to add character. The tips for the modern decorating is nice and thanks for sharing. I have always wanted to have a home filled with retro stuff. Thank you for these ideas! I feel lucky to have stumbled upon your blog. Great post. I am looking for something like this. Keep it update in future too. Thanks for the tips! I love this style and this article really inspired me! Can't wait to get my big girl apartment!! Good post. You have put huge information in this single post. Keep it update in future too. Bravo!!! I love you pictures! It is a really a fantastic home decoration idea really helpful for me. This article is definitely recommended to my friends as well. Love that! So creative! :D.
Thanks for all of the advice. I've been trying design a really cool room with a nice modern look to it. So far I really haven't had much luck, but I'm sure I'll be able to get it figured out if I try your advice. I'll definitely have to let you know on how everything ends up turning out. So beautiful. And thanks for sharing your suggestion. I really liked your tip about mixing old items with new items. I love the vintage look with the clean modern lines. All I need to do now is find some great home decor and start decorating my place!